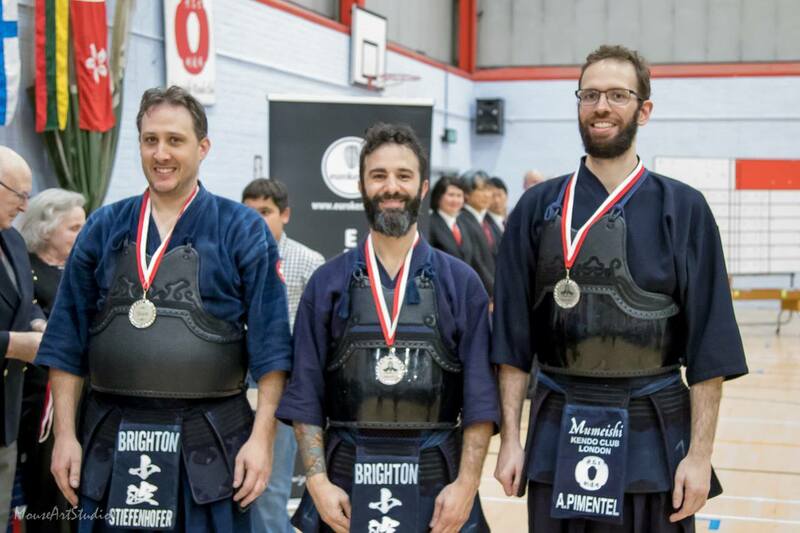 After the last year 3rd place, bronze medal, this year the Brighton Kendo Club joined again the Mumeshi 3s competition with two teams. 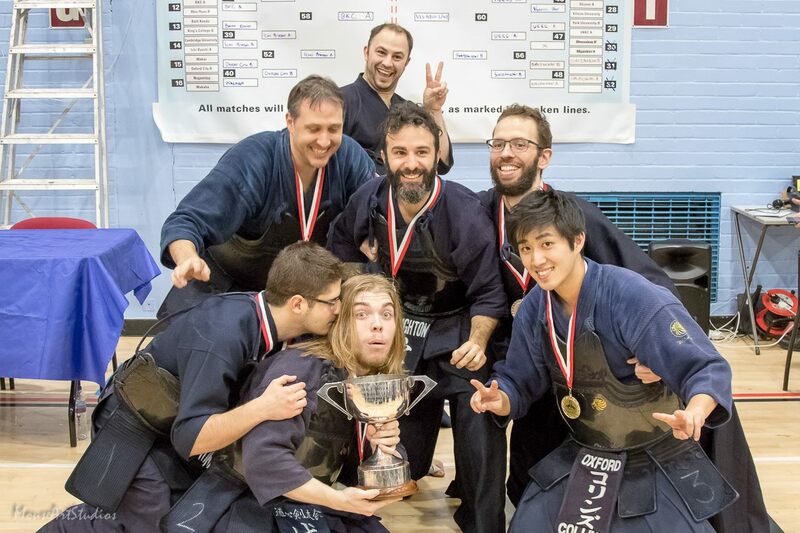 The BKCA team manage the fight until the final versus the York University Team where the team lost for 0-1 ippon, so getting the second place and winning the Silver Medal, this is was a brilliant result happily celebrated by both teams. 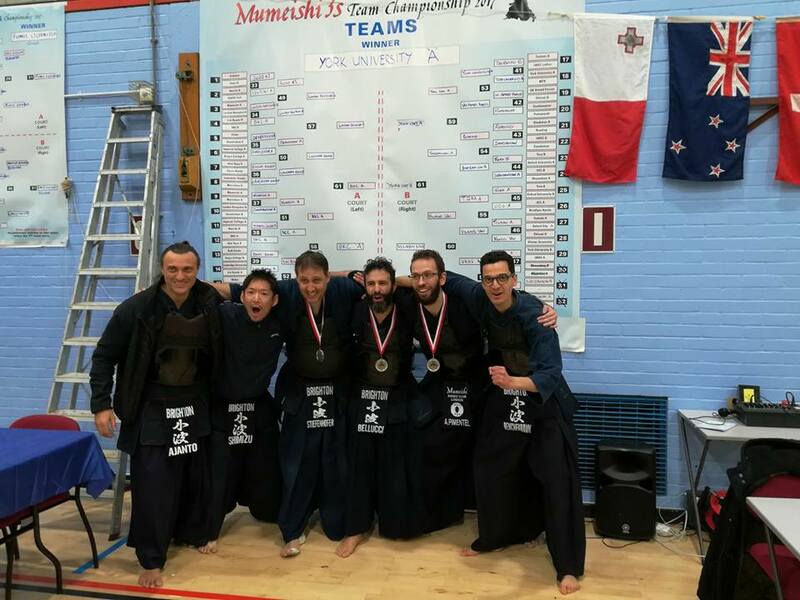 The over all experience was very good and both team manage all the fight with our usual fighting spirit , showing the best of the Brighton Kendo Club taikai experience and training. As BKC tradition we celebrate with the competition winners……. On the background Ben photobomb! This victory is a results obtained thanks to all the members effort from the senior to the new comers.